The Sterns’ front landscape was designed with ease of maintenance in mind, with very low-water use and a modern look and feel. 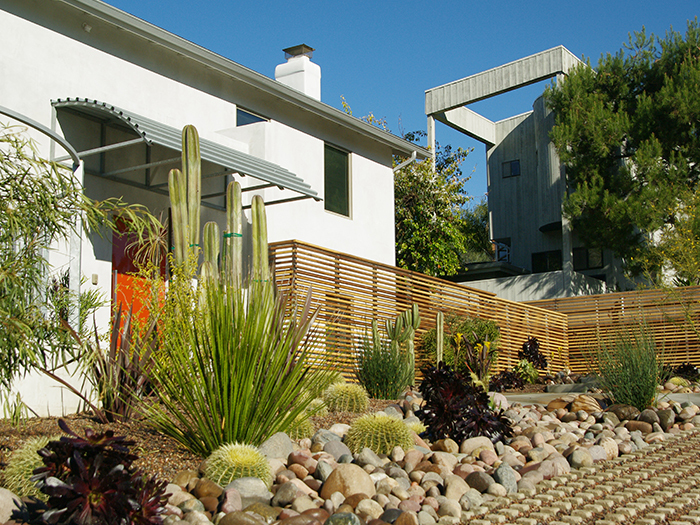 Cobblestones and cactuses from the existing front yard were reused. Other succulents and low-water shrubs were introduced to create privacy around a front patio area and a living room window. Grasscrete pavers, installed with small pebbles in the recesses instead of grass, define the space between the plantings and the road.